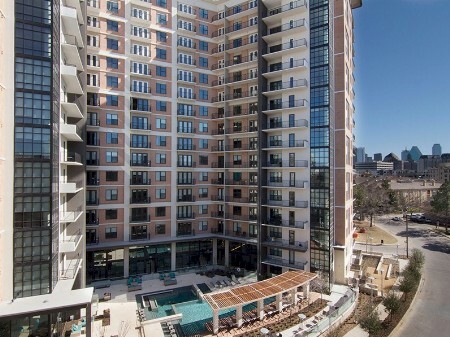 I have a client who looked at a number of Turtle Creek and Uptown properties and chose the Taylor. I like the location between Katy Trail and McKinney Avenue Trolley. All apartments have 10’ ceilings and many come with built-ins and speakers and media connections in the living area.